Sunday Silence started life with the odds stacked against him. He was still a youngster when his breeder decided to sell him, no one wanted to buy him, and a van accident nearly killed him. But Sunday Silence refused to be beaten. Under the tutelage of legendary trainer Charlie Whittingham, the near-black colt showed another facet of the stubborn resiliency that had characterized his early years. Sunday Silence hated to lose on the racetrack. But it seems that Sunday Silence is still fighting. Hopefully, his offspring around the world will be gathering together to pay tribute to the great racehorse/stallion and fulfill his quest to establish one of the greatest sire-lines of our time, in this thread. I thought that was a wonderful video with beautiful music. But I didn't think this link had ever been brought to this forum. Part of the lore of Sunday Silence: his 1989 Breeders' Cup Classic win over Easy Goer. 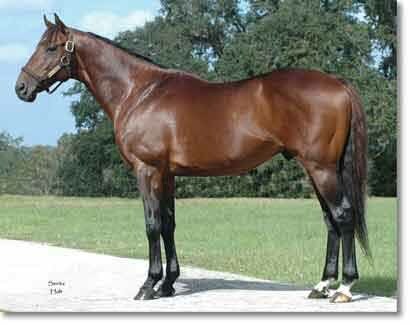 One af my all time favorite horses! Heart’s Cry(JPN) became the 24th son of Sunday Silence to sire a Group 1 winner worldwide, when his son Just a Way(JPN) crushed the field in the G1 Tenno Sho Autumn 2000m turf at Tokyo on October 27th. And I was really thrilled with Silentio's effort in the BC Mile. I wish we had a top son of Sunday's here in the U.S. Heck, I wish he had never been sent to Japan in the first place. Great horse deserved to stand and live out his life here at home. Sigh. Cartier Award winner Dabirsim(FR), 2009C. Hat Trick(JPN) x Rumored(USA) by Royal Academy(USA), will stand his first season at Gestüt Karlshof (Germany) at a fee of €9,000. Stallion info and many picks of him can be found at the following Gestut Karlshof's homepage. Today, Kyoto 9R Kiguku Sho gave us a rare opportunity to see a few promising 2yo colts out of some of the most beloved Sunday Silence G1 winning daughters run in the same race. It was To the Victory's son To the World who won it in a 2yo record time. 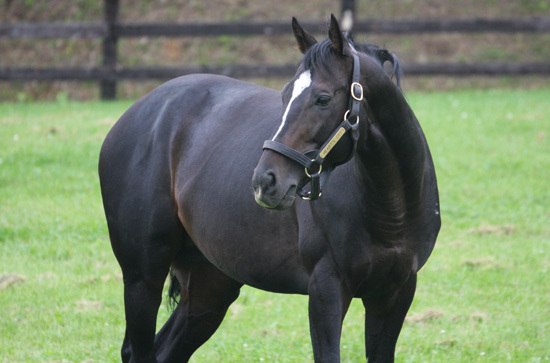 Sunday Silence has sired 22 broodmares who became dam of a G1* winner worldwide so far (* international G1s). Sun Is Up(JPN), dam of the G1 Jean-Luc Lagardere winner Karakontie(JPN), is the latest. I wonder which mare will be next. Last edited by tachyon on Tue Dec 31, 2013 7:10 am, edited 2 times in total. Hat Trick stands at Gainesway in Kentucky and Silent Name is at Adena Springs in Canada. SN was named Canada's #1 sire for 2013. Both stallions seem to be doing pretty well. Meisho Mambo(JPN). 2010F. Suzuka Mambo(JPN) x Meisho Momoka(JPN) by Grass Wonder(USA), dominated older rivals in the Queen Elizabeth 2 Cup(G1), scoring her 3rd G1 win. 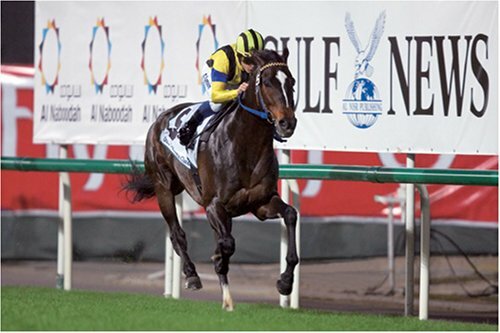 The super filly, who can hadle the soft as well as the firm, now emerges as a legitimate candidate for the Japan’s Horse of the Year 2013. I would love to see her run in the Arima Kinen where Japan’s all-stars are expected to run this year. Meisho Mambo has been bred by Kosho Bokujo, an old medium-sized farm in Hokkaido, and owned by Yoshio Matsumoto who had the dual classic winner Meisho Samson in 2006. Her sire Suzuka Mambo, Tenno Sho Spring winner & underdog stallion despite of his impeccable pedigree (please see below), stood at Arrow Stud only for a fee of ￥700,000 (about $7k) this season -- he will surely improve his mares going forward, though. You don’t need to be a ’’SHADAI horse’’ to be a solid star, haha! 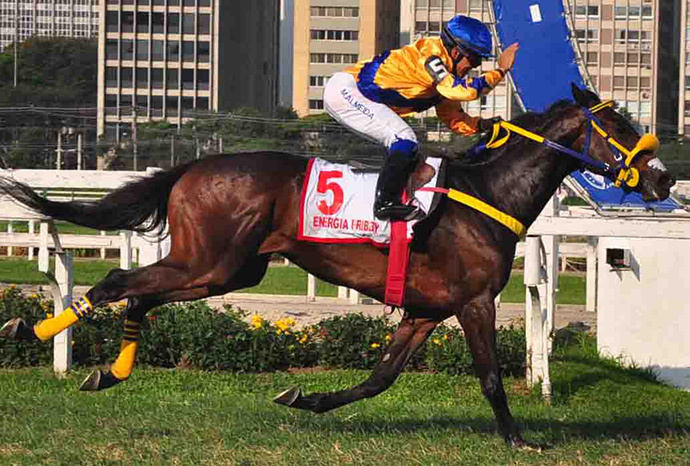 In Brazil, Energia Fribby(BRZ) grabbed her first G1 victory in the Grande Prêmio Diana (3rd leg of the Triple Crown for Fillies) 2000m turf at Cidade Jardim on Sunday!! Glad Agnes Gold is doing super in Brazil. Energia Fribby is his thrid G1 winner. Agnes Gold is standing at Haras Estrela Energia, Brazil. Tosen Ra(JPN)[2008H. Deep Impact(JPN) x Princess Olivia(USA)] won the G1 Mile Championship 1600m turf at Kyoto with an impressive turn of foot and became the 10th G1 winner for his sire. He also made jockey Yutaka Take to set the unprecedented record of 100th career G1 win. Yutaka Take’s victorious G1 mounts include such Sunday Silence offspring as Dance Partner, Dance in the Dark, Marvelous Sunday, Special Week, Admire Vega, Air Shukur, To the Victory, Stay Gold, Believe, Gold Allure, Admire Groove, Dance in the Mood, Admire Max, Deep Impact, Air Messiah, Logic, Suzuka Phoenix, Smart Falcon, Sadamu Patek, Kizuna and Tosen Ra. Every time I check this thread I am reminded again what a mistake it was to sell Sunday to the Japanese instead of standing him in Kentucky even if breeders at the time were shortsighted. Oh well, at least he was appreciated in his new homeland and has had a massive influence over there. Another subject: In that last photo of Deep Impact, he seems to have a filling or growth just below his right elbow. Last edited by Ridan_Remembered on Mon Nov 18, 2013 10:49 am, edited 1 time in total. Ridan_Remembered wrote: Every time I check this thread I am reminded again what a mistake it was to sell Sunday to the Japanese instead of standing him in Kentucky even if breeders at the time were shortsighted. Oh well, at least he was appreciated in his new homeland and has had a massive influence over there. Another subject: In that last photo of Deep Impact, he seems to have a filling or growth on his just below his right elbow. With a different mare base, different dominant racing surface and different support level, it's impossible and improbable to speculate what Sunday Silence would have achieved at stud here. He could have easily been a flop and have ended up in Korea, Africa, who knows. Perhaps, but a prepotent sire is a prepotent sire no matter where he stands.